Prof. Oliver FitzGerald, St Vincent’s Hospital one of Ireland’s longest serving Rheumatologists is crowned by his peers. 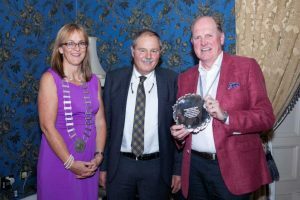 Prof Oliver FitzGerald was given a Life Time Achievement Award for his service to the field of Rheumatology and Research at the ISR Autumn Meeting which was held in the Killashee Hotel from 20th-21st September. accompanied by his wife well known Consultant Dermatologist Dr Louise Barnes. 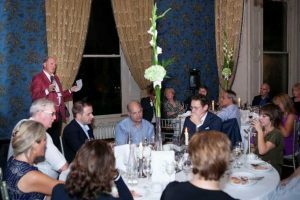 The two-day meeting at Killashee Hotel was attended by over 300 delegates and covered a wide range of topics with presenters from Ireland, UK, Belgium, UK, USA, Canada and Australia.